Mechanical & Electrical design of a new build 6000m² primary school with underfloor heating from a Biomass boiler. 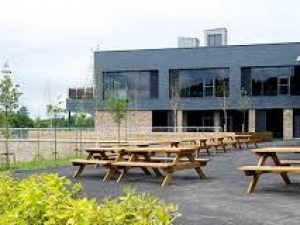 The school features a range of high-quality modern facilities, including provision for “early years” of up to 50 places; 18 modern classrooms and five classrooms for pupils with additional support needs. It also includes two classrooms dedicated to pupils with hearing impairments, activity space and a therapy and sensory support room. The school received BREEAM Excellent and an EPC ‘A’ Rating.